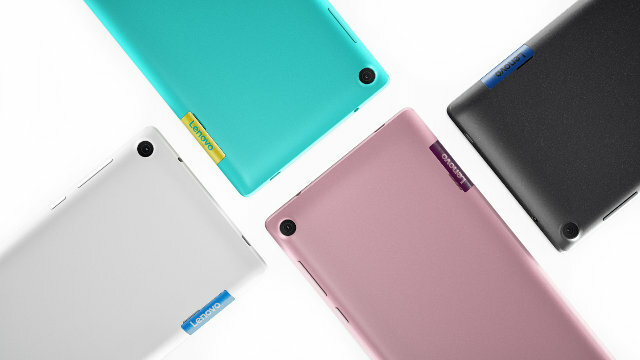 Two affordable new tablets from Lenovo, the TAB3 7 and TAB3 8, are aiming to make their way into your family's living room this year. The tablets come with all the basics, designed for the whole family. Both the seven- and eight-inch versions allow users to set up individual user profiles and accounts on one tablet, keeping things organized for Mom and Dad. The TAB3 incorporates safety features for young users such as safe browsing on the Web, tablet use time restrictions and limited app access. Both tablets run Android 6.0 Marshmallow, the latest version of Google’s mobile operating systems. To ensure everyone enjoys multimedia, Lenovo’s Adaptive Display technology optimizes visuals and sound depending on what’s showing on the screen. The same technology lessens blue light emission to protect kids' eyesight. The TAB3 uses a 1.0-gigahertz quad-core MediaTek chipset supported by 1GB of system memory and 16GB of built-in storage (expandable via microSD). The back of the TAB3 has a 5-megapixel main camera with autofocus, perfect for snapping casual photos. On the front is a fixed-focus selfie camera with 2-megapixel resolution. 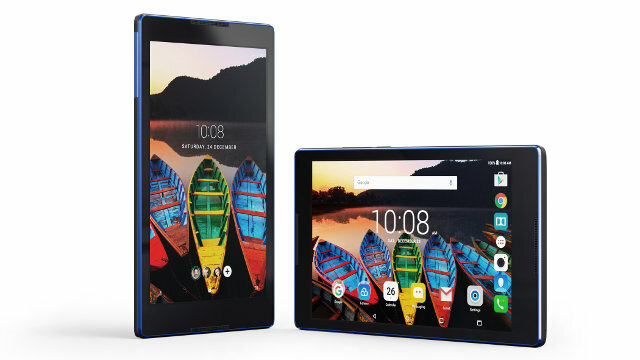 The smaller Lenovo TAB3 comes with a seven-inch, 1024x600 standard definition IPS screen. Its 3,450-mAh battery provides up to nine hours of use. The TAB3 7 supports LTE connectivity. The eight-inch TAB3 has a 1280x800 high-definition IPS screen and a 4,290-mAh battery for up to eight hours of use. A variant of the TAB3 8 supports LTE connectivity. Both tablets bear the IP52 rating, indicating durability and protection against liquid splashes. If you’re looking for affordable tablets with all the basic features for family use at home, these two tablets are worth looking forward to. They’ll be arriving in stores in June, so be ready with $129 for the TAB3 7, $99 for the TAB3 8 Wi-Fi variant or $149 for the TAB3 8 LTE variant.